If you haven’t installed Visual Studio or Team Explorer, you’ll need to go to this Microsoft link. Click Download to install Team Explorer. After it is installed, the Team tab should automatically show up in Excel (Skip to step ). If the Team tab doesn’t show up automatically, go to Step 4. Click the FILE tab in an Excel Workbook. 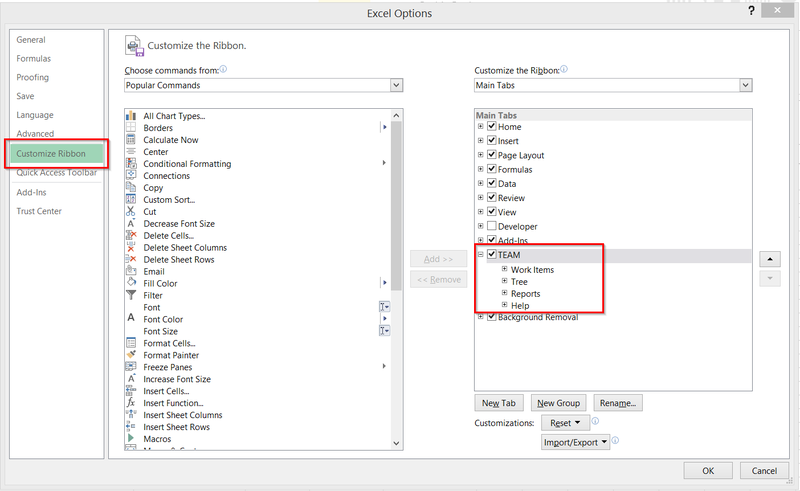 Click Options in the navigation pane and click Customize Ribbon. In the Customize the Ribbon pane, click the TEAM checkbox. Click OK. Enjoy your new Team tab in your Excel Workbooks!